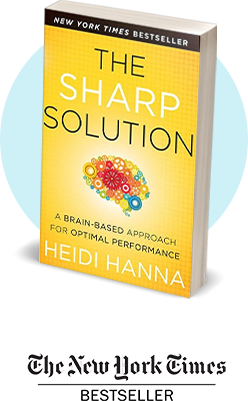 In The Sharp Solution, Heidi Hanna introduces readers to a brain-based approach to realistic, sustainable energy management that supports a healthier brain, and as a result a healthier, happier body. By engaging our brain, we can strategically re-wire how we operate, creating more energy and improving productivity while simultaneously reducing stress. 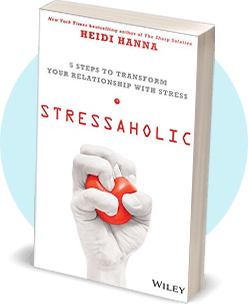 Chronic multitasking and ever-increasing demands on our time and energy have caused a neurochemically-based dependence on sources of stress and stimulation to provide fuel for our chaotic lifestyles. 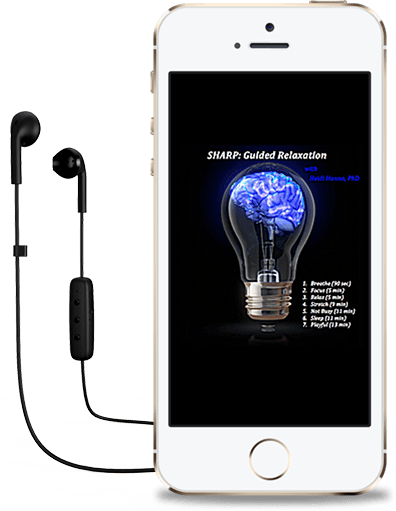 While this may boost performance in the short-term, studies have consistently shown that when stress hormones are elevated over time they create the worst form of internal wear and tear; decreasing productivity, wasting time, and even killing brain cells. 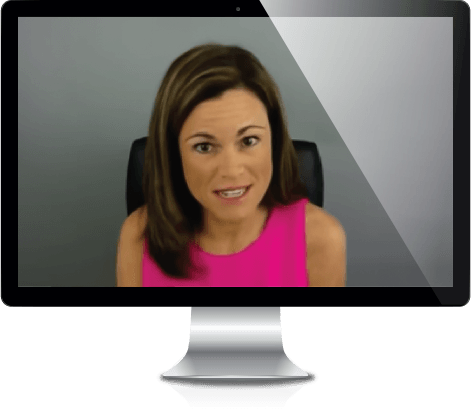 Learn how to train the brain to manage energy more efficiently in order to help sustain optimal health, happiness and performance. 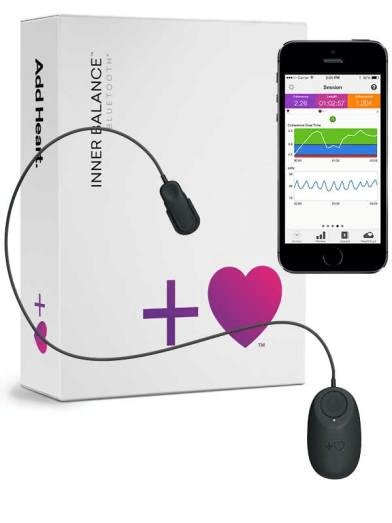 Energy management is discussed from a holistic, inside-out approach, starting first with techniques to balance brain chemistry, build brain health and boost brainpower. With the brain in an energized state, we are then able to bring our best attention and effort to the task at hand. 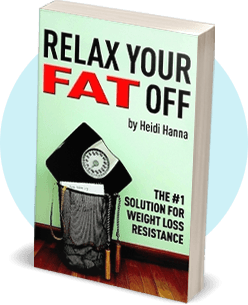 The Relax Your Fat Off program consists of 10 specific techniques that will help you relax your body, quiet your mind, and reduce the effects of chronic stress that have been proven to cause weight loss resistance. By setting the right foundation for your food and activity efforts, you allow your body to release unnecesary pounds while also functioning more optimally. As a result of this program, don’t be surprised if you find yourself feeling more calm, optimistic, and downright joyful. Mentally, you will have more clarity, be more creative, and able to focus your attention on the people and things that matter most to you. Regardless of how the scale responds to your new diet, the results you see from this new worry-free lifestyle are guaranteed to be well worth the effort. As you start to have more energy, sleep better, and enjoy life more overall, you will naturally condition your body to lose excess weight and keep it off — for good. 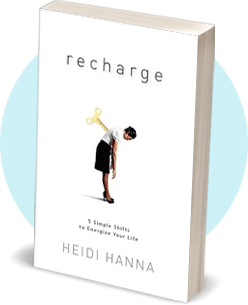 Dr. Heidi Hanna provides this proven effective guided meditation streaming audio available for download and stream from CdBaby. Following Heidi’s established SHARP method, this 60 minute album is sure to guide you into a more relaxed and meditative state. Over 5 million lives transformed in over 100 countries. Take charge of how you feel!